Hedwig and the Angry Inch has been nominated for three Outer Critics Circle Awards: Outstanding Revival of a Musical, Outstanding Actor in a Musical - Neil Patrick Harris, and Outstanding Lighting Design - Kevin Adams. 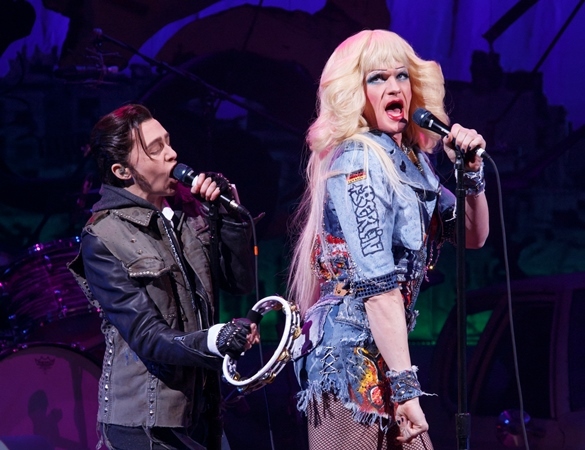 The Drama League announced three nominations for Hedwig and the Angry Inch: Outstanding Revival of a Broadway or Off-Broadway Musical and Distinguished Performance for both Neil Patrick Harris and Lena Hall. The show has also received three Drama Desk Award nominations for Outstanding Revival of a Musical, Outstanding Director of a Musical – Michael Mayer, and Outstanding Actor in a Musical – Neil Patrick Harris. "SHN's 'Hedwig' Either Excellent or Transcendent"